Carl A. Kroch Collection, sold Christie's New York, 4 December 1986, lot 158. 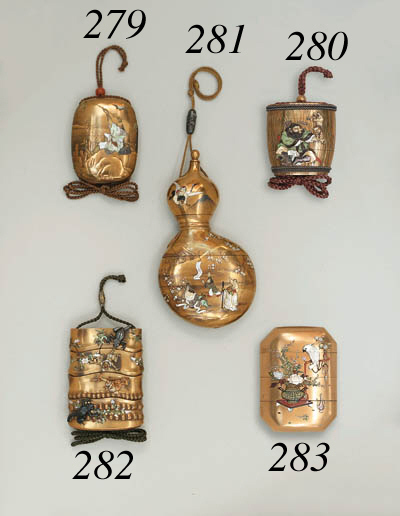 There were three artists named Kakosai who worked during the 19th Century. This inro was probably made by Shozan whose other art name was Kakosai. He is recorded as having frequently worked with Shibayama artists. In this example, he collaborated with Nakayama about whom little is known.